The oil and gas industry have had a long standing relationship with data and it’s relevance to success. However, as the amount of data becomes bigger, oil and gas organizations have struggled to effectively analyze this mass of information. Currently only 4% of the oil and gas industry is using data analytics to help improve production and drilling strategies. 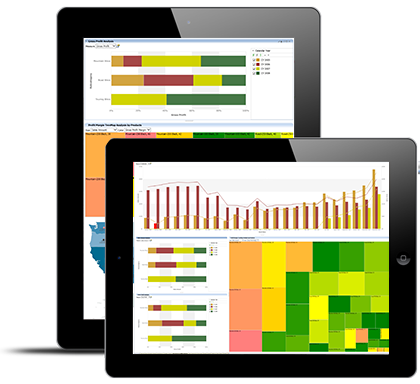 By creating analytical backed strategies through visualizations, reports and dashboards, Analyzer™ helps give oil and gas companies the competitive edge to succeed. With proper and reliable analytics, organizations are able develop a more predictable maintenance schedule to ensure equipment up time is maximized. By monitoring stress levels by region, weather and other drilling conditions, companies are better able to predict equipment breakdowns and implement production shut downs to perform preventive maintenance. Furthermore, analytics of manufacturers products can be put in place to evaluate lifespan of assets relative to conditions, as one size may not fit all. As oil has become increasingly harder to find, the reliance on production data to determine the best drilling strategies has increased. Oil and gas companies need to ensure smaller margins of error to stay competitive in a market where every drop counts.